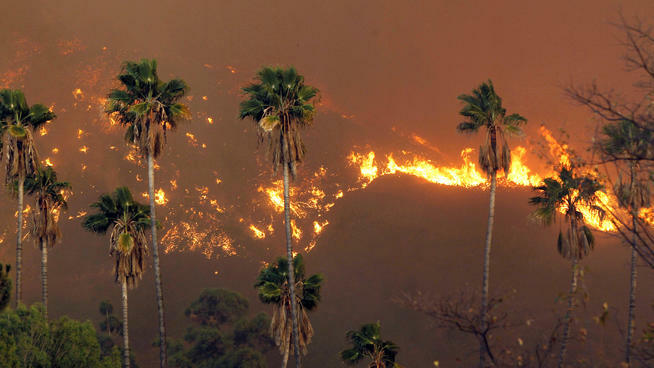 Yesterday morning, a brush fire broke out in the Angeles National Forest. The Colby fire broke out after 3 campers were throwing pieces of toilet paper into their fire and they wind picked up. From there, its burned 5 homes and damaged 17 structures. The fire is 30% contained. The 3 campers that started the fire have been arrested. This just shows how important fire safety is! For more information on how you can prevent forest fires (I know it sounds cliché but its true) check out my Fire Safety tips or go to www.smokeybear.com. wow, so important to be safe! I’m continually amazed at how careless some campers are. I hope the fire gets fully contained soon. I have been too close too often, now the only fire I have is the one for cooking. Propane….. A wood fire is really not needed anymore. Yes it is nice to have but, look what happens when it is not respected!!.. Off soap box now.. Boy, LA always seems to have out of control fires. It’s a tinderbox there. Especially this time of year. It never ceases to amaze me how careless people can be with fire. Thanks for the timely reminder. Good post and a reminder that we should write about best practices when we can in our blogs. You never know when it will be your turn to save a forest.